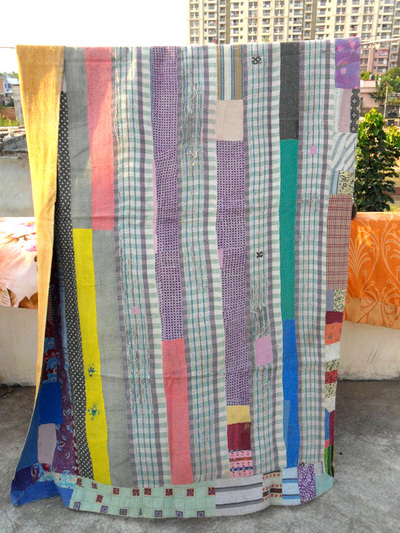 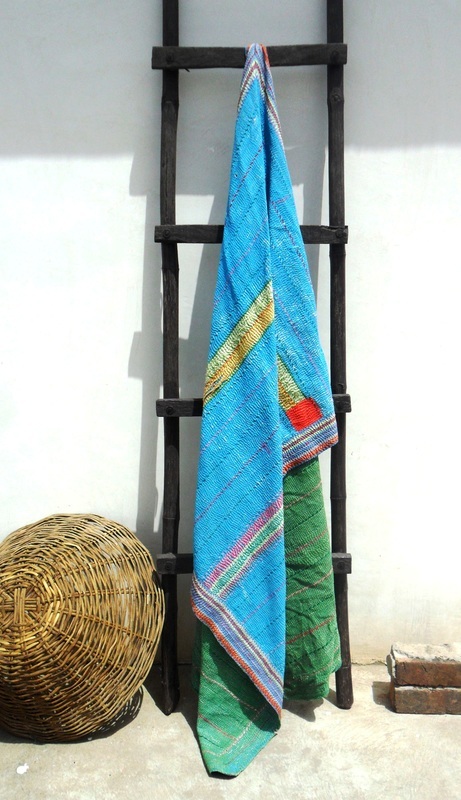 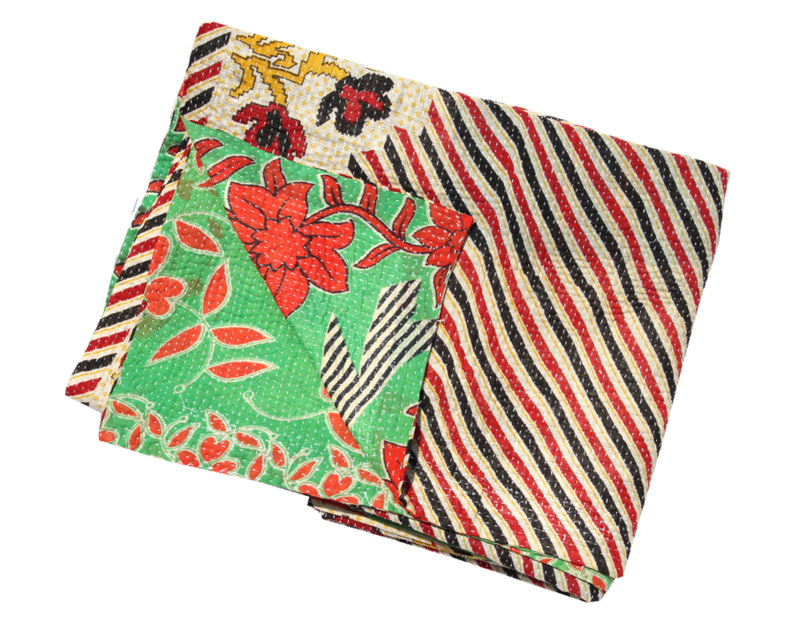 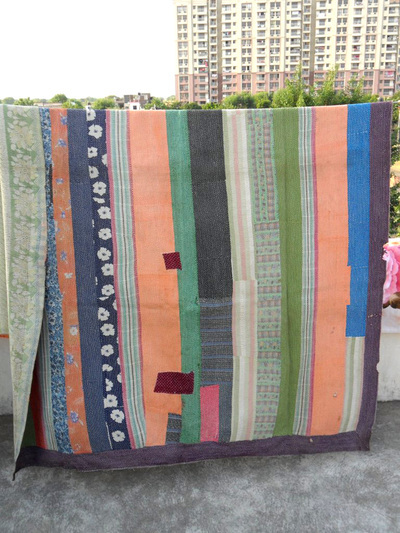 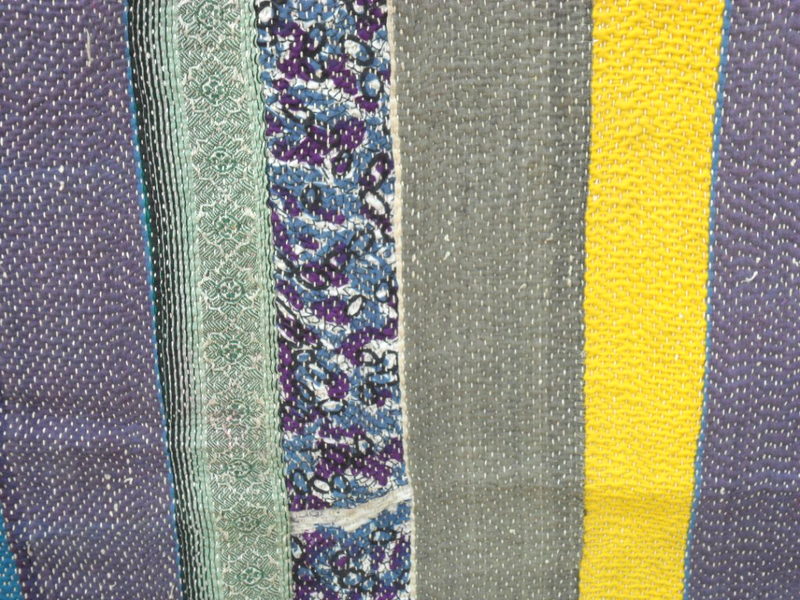 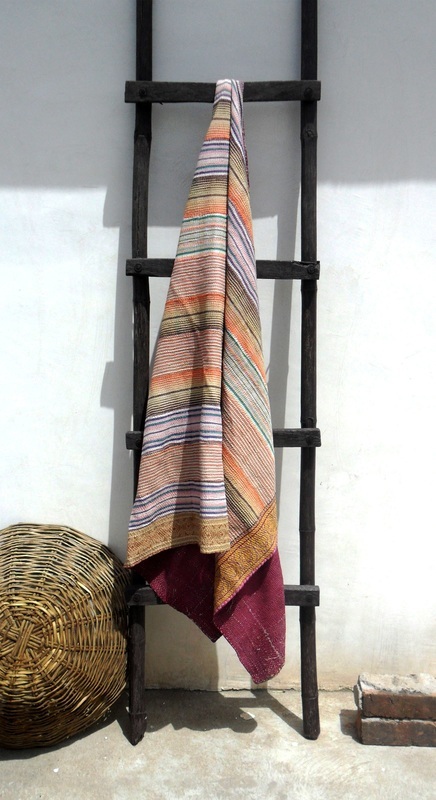 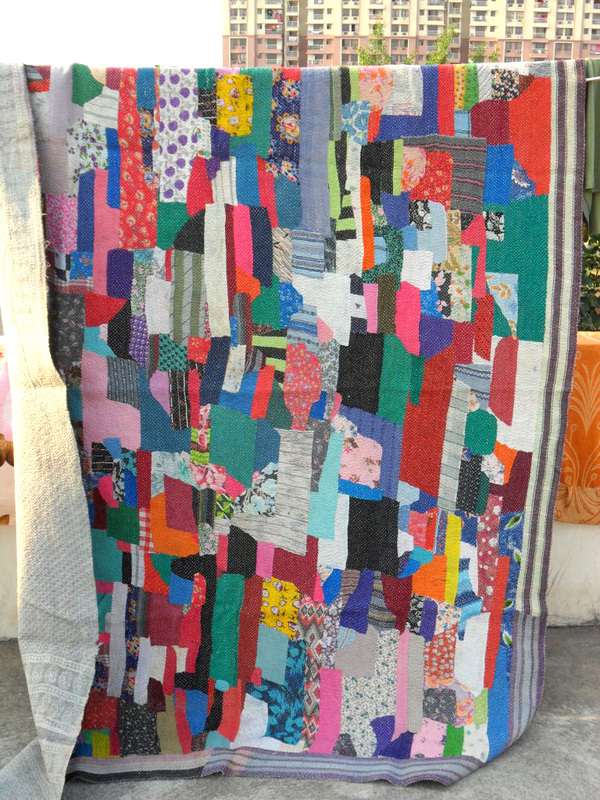 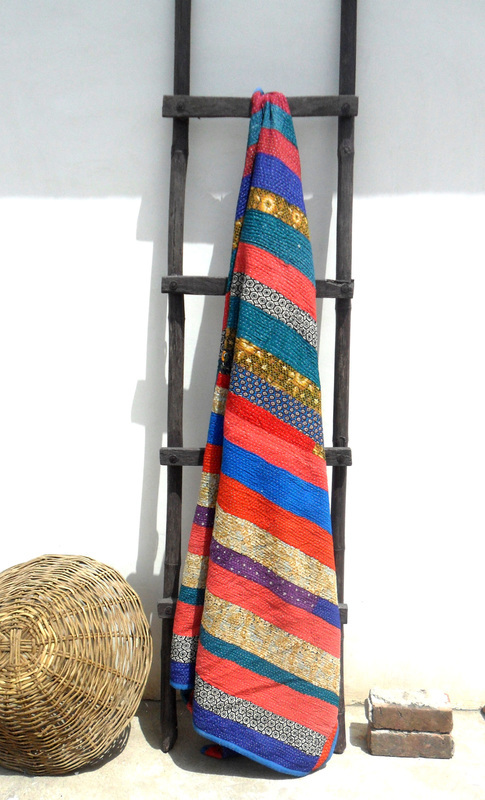 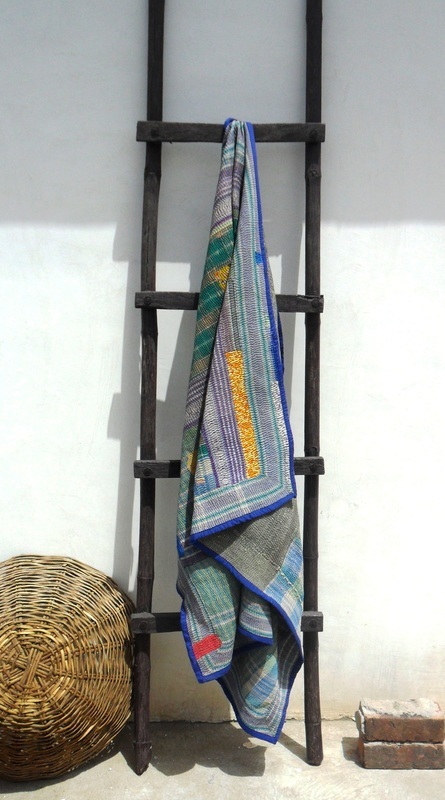 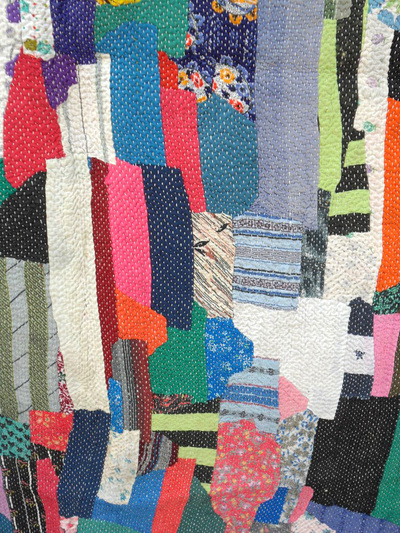 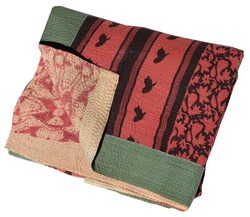 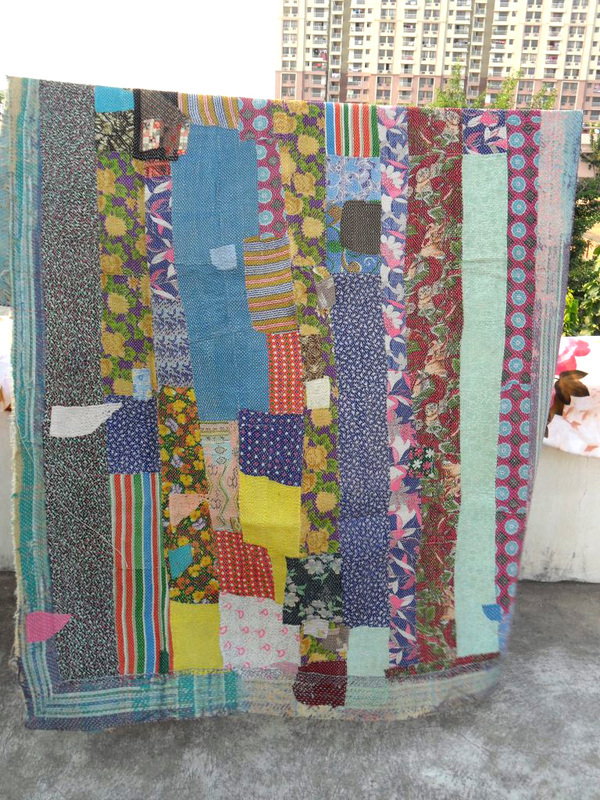 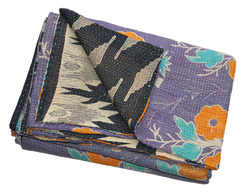 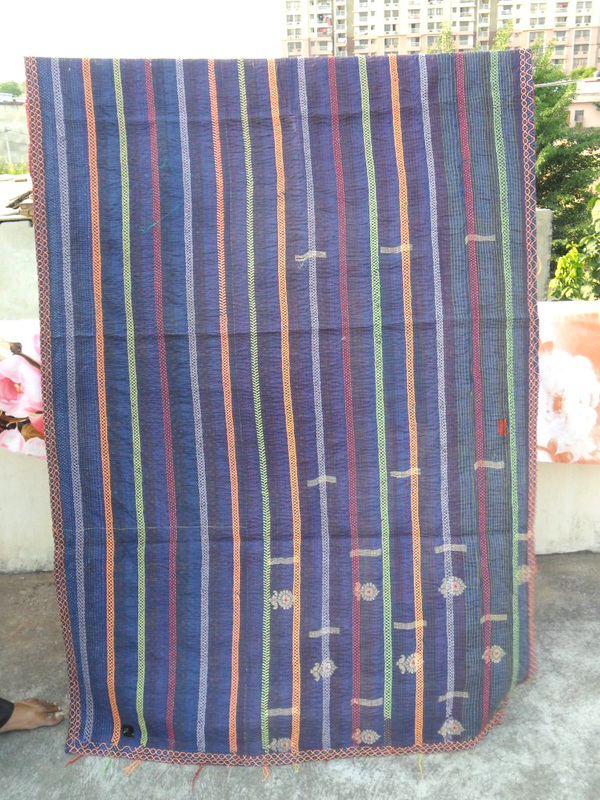 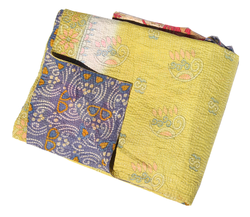 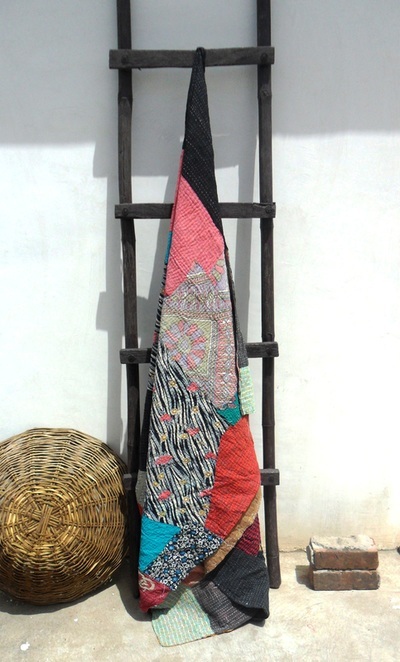 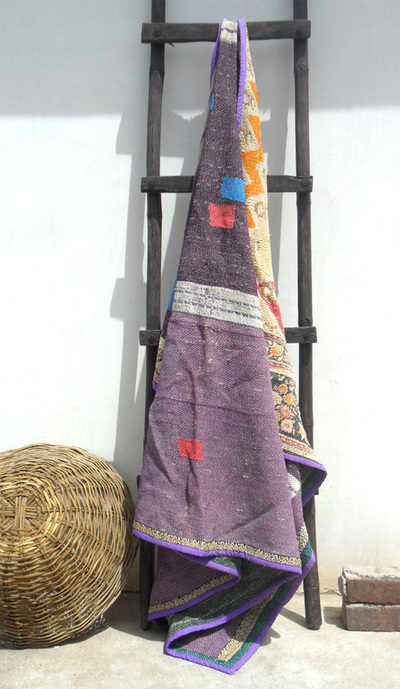 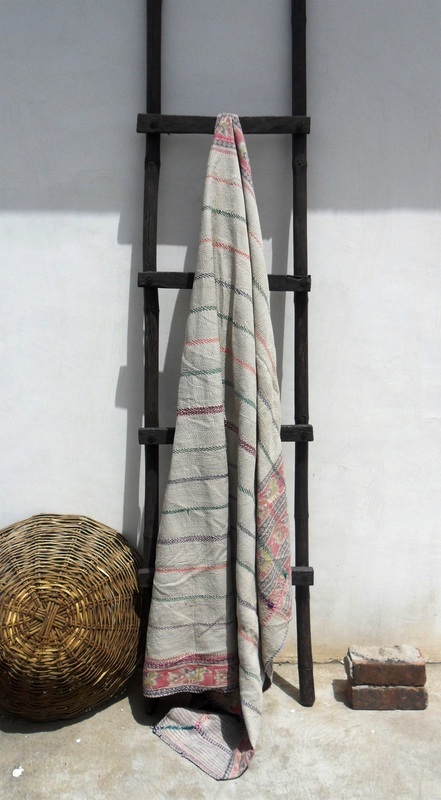 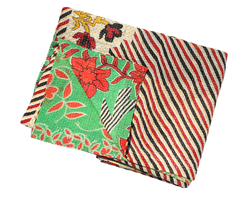 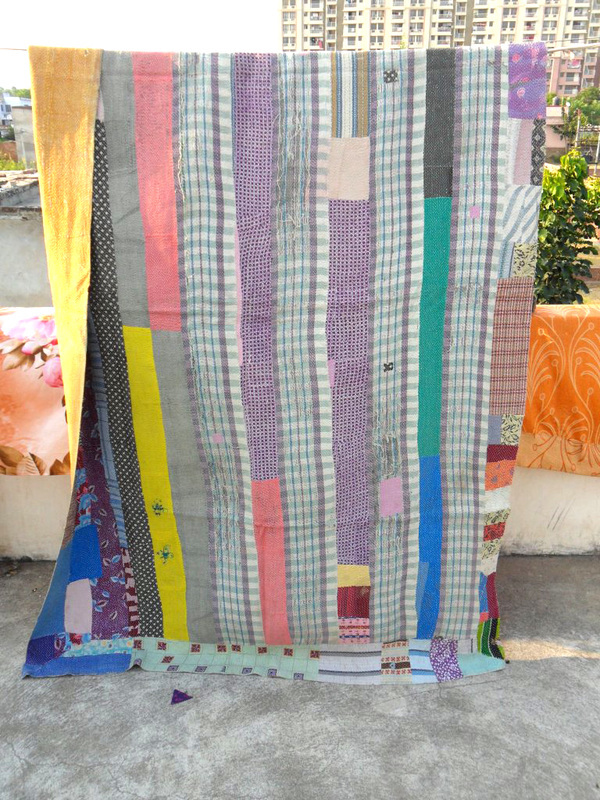 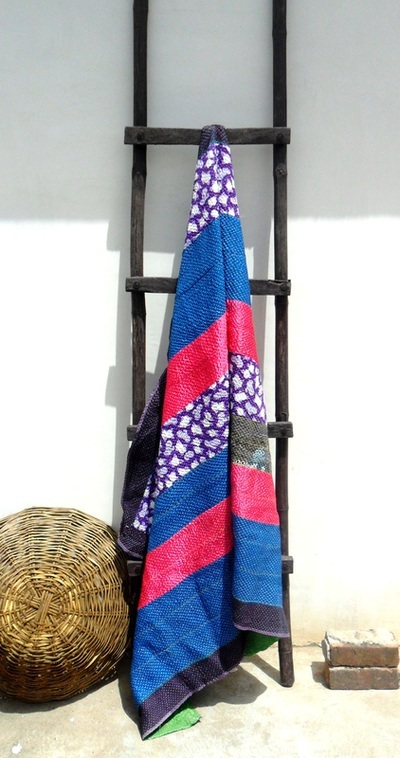 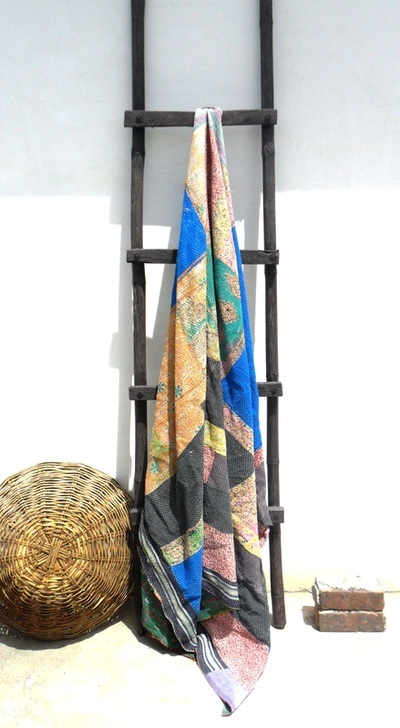 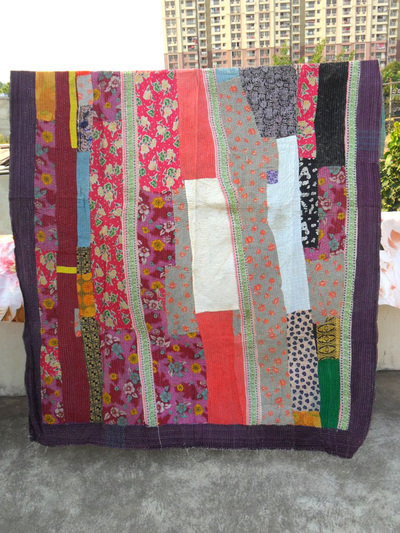 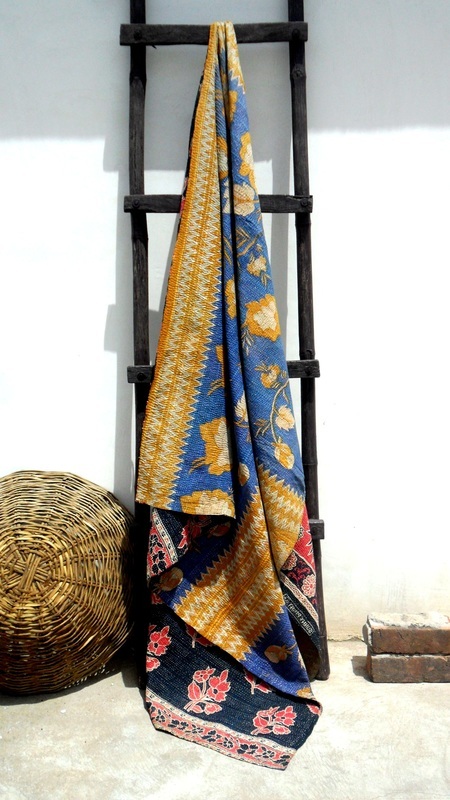 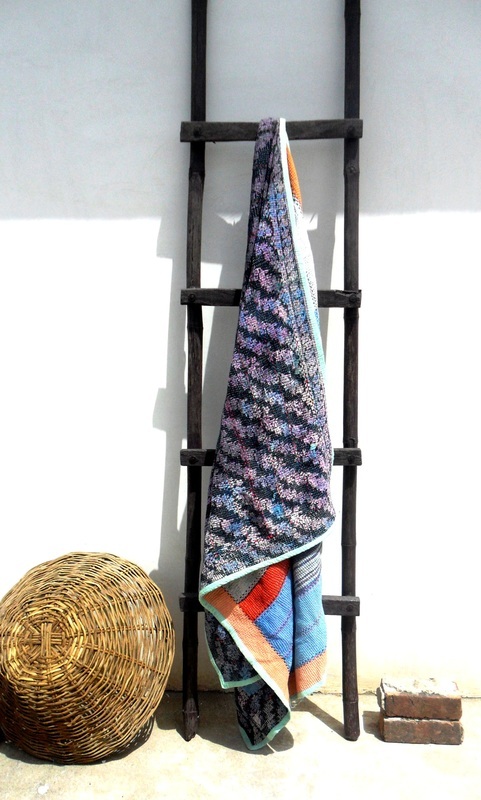 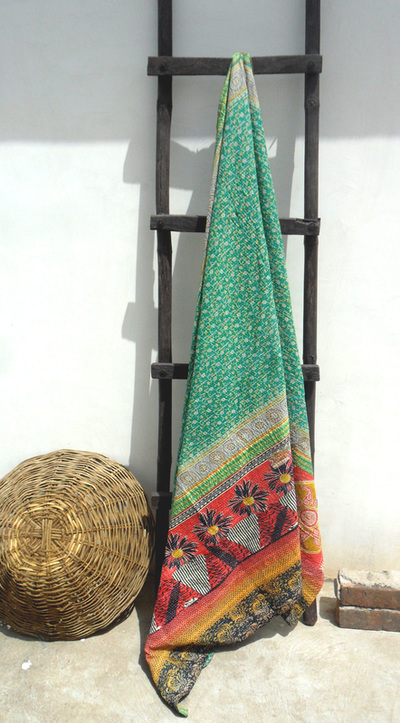 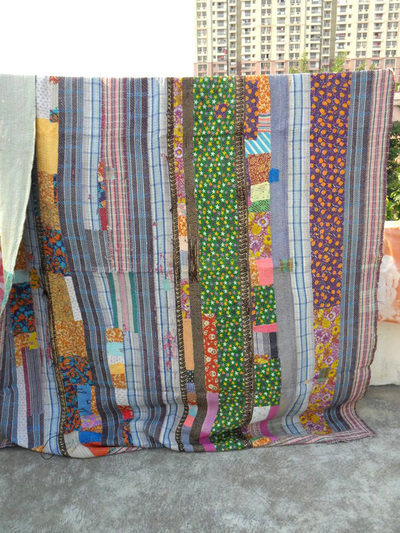 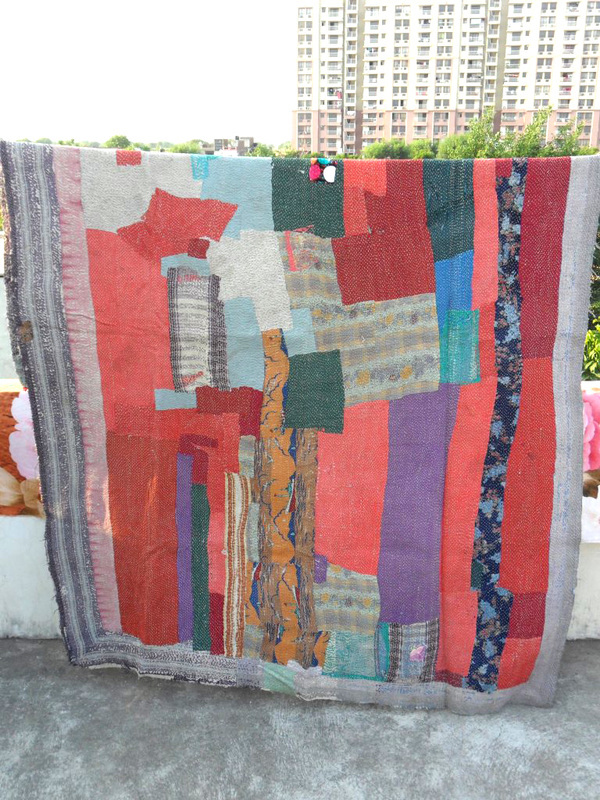 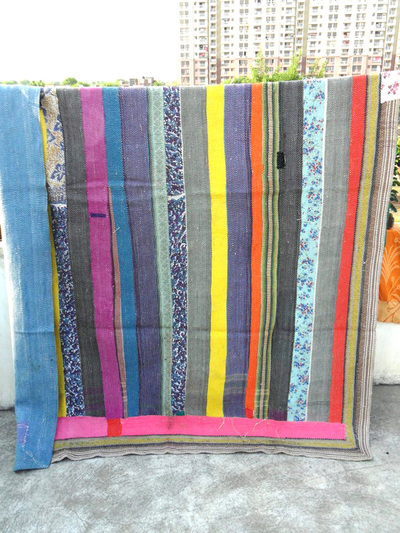 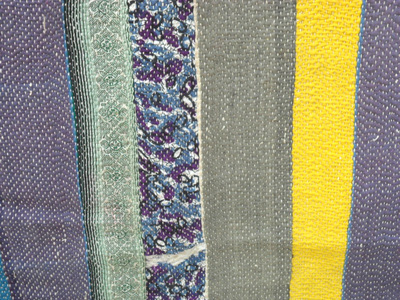 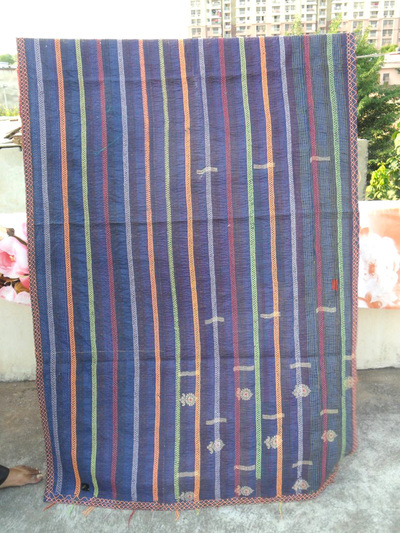 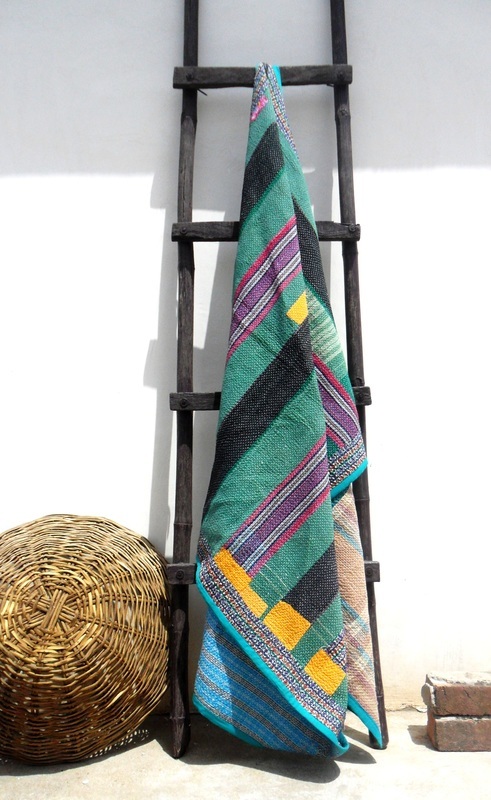 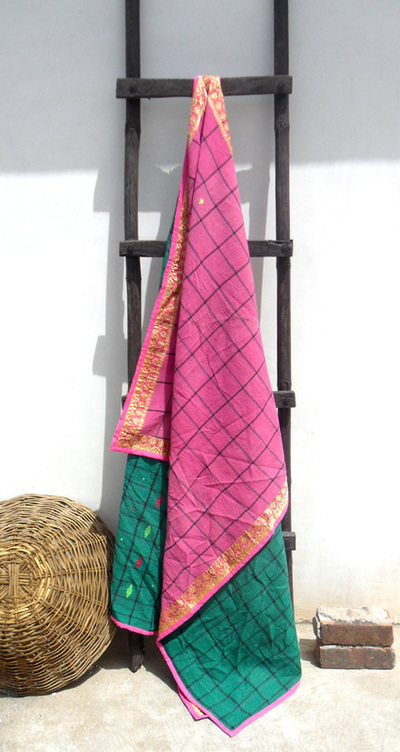 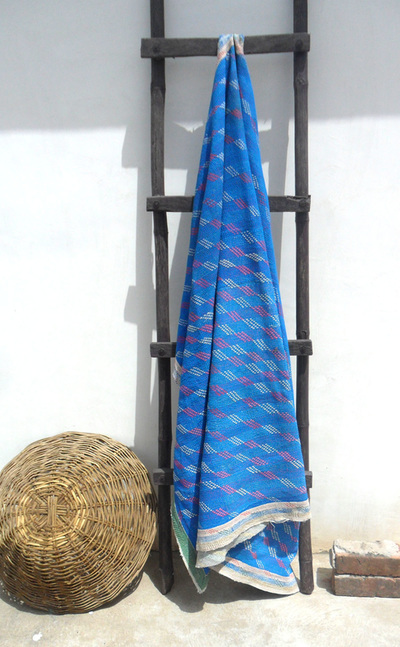 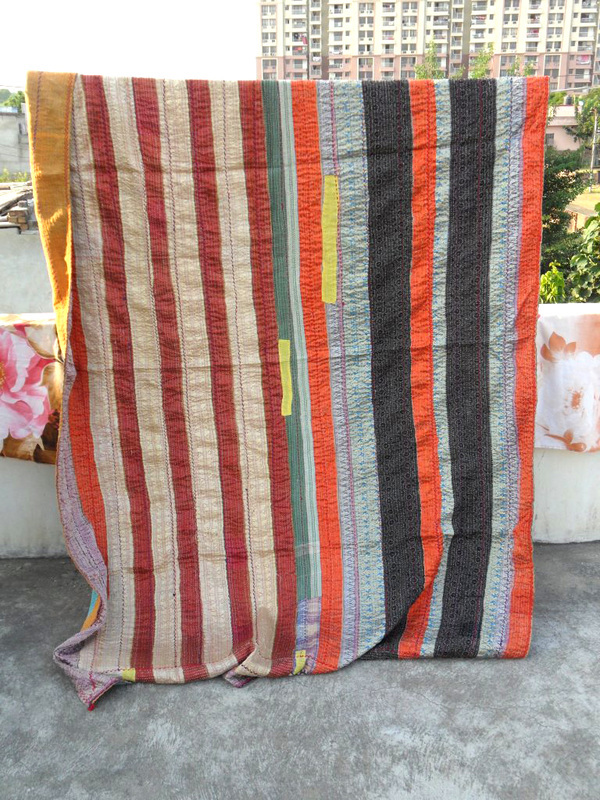 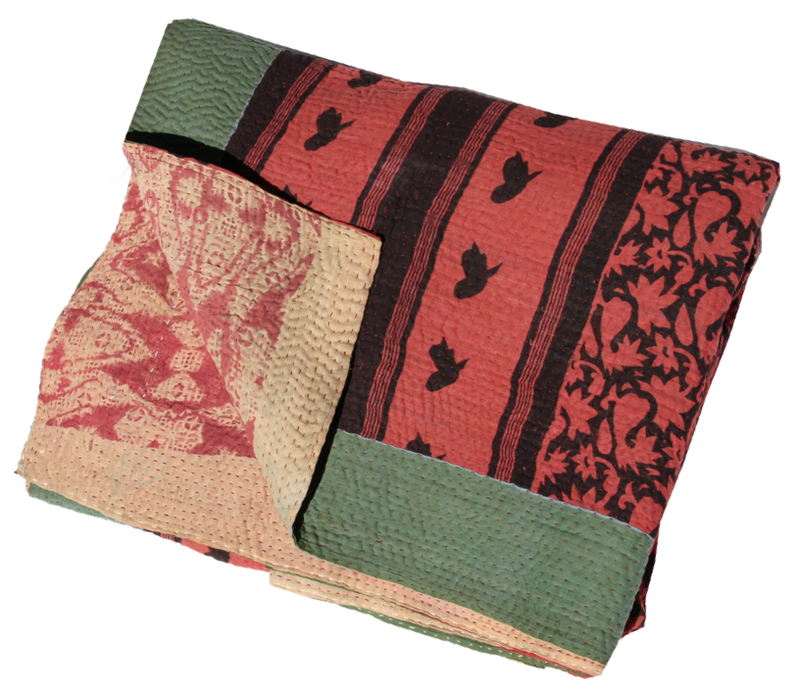 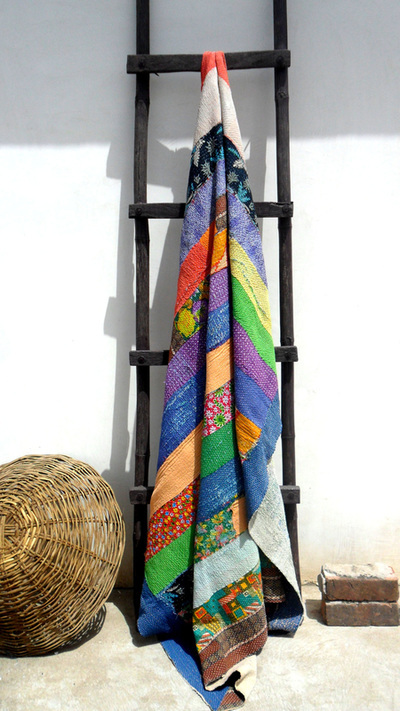 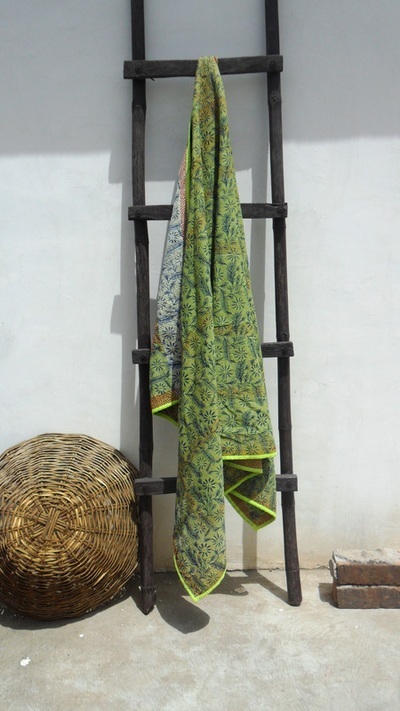 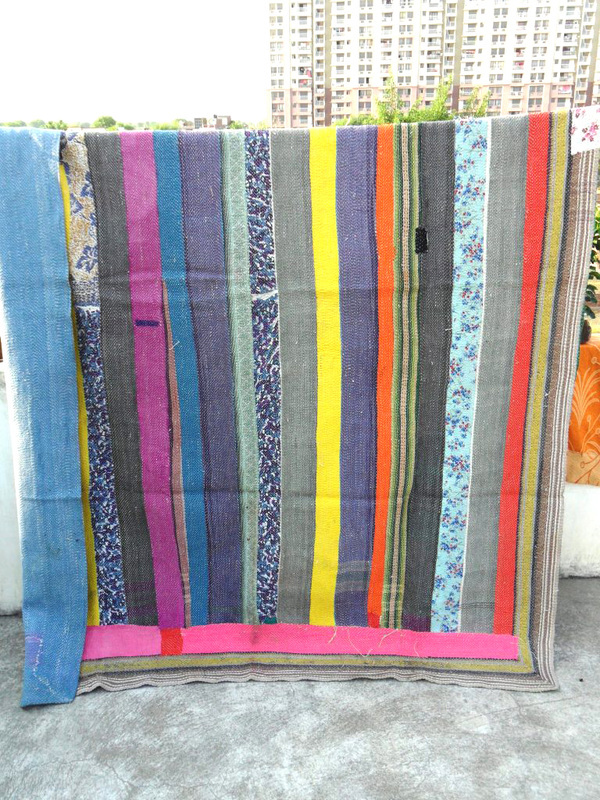 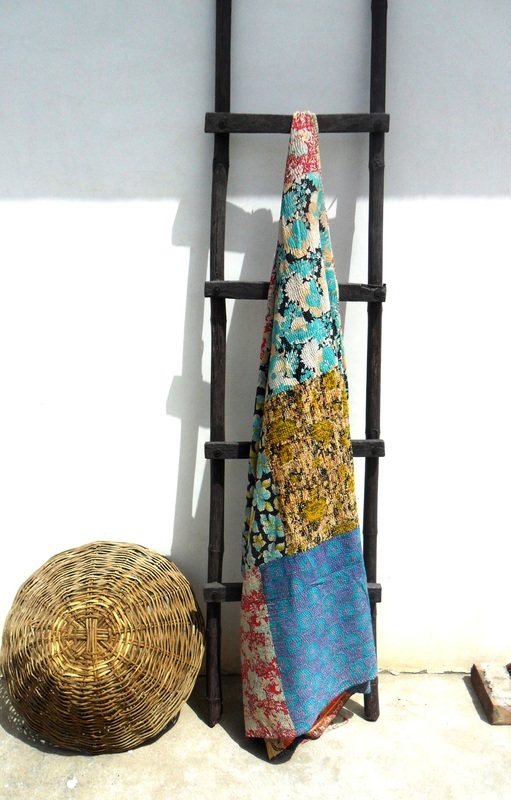 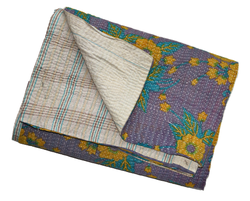 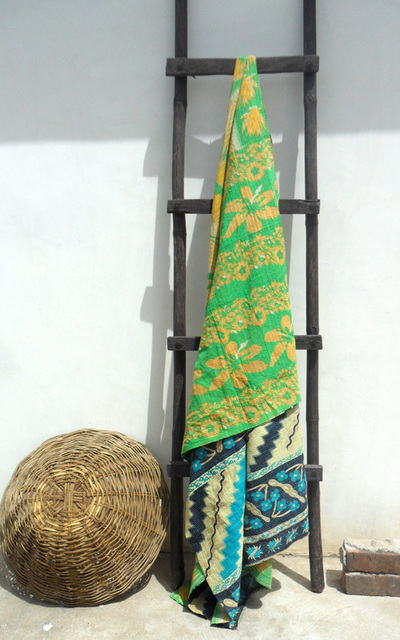 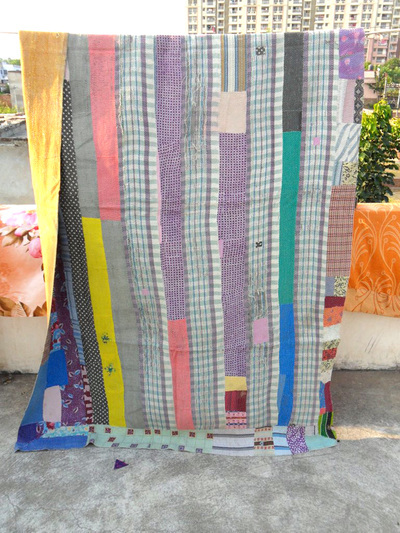 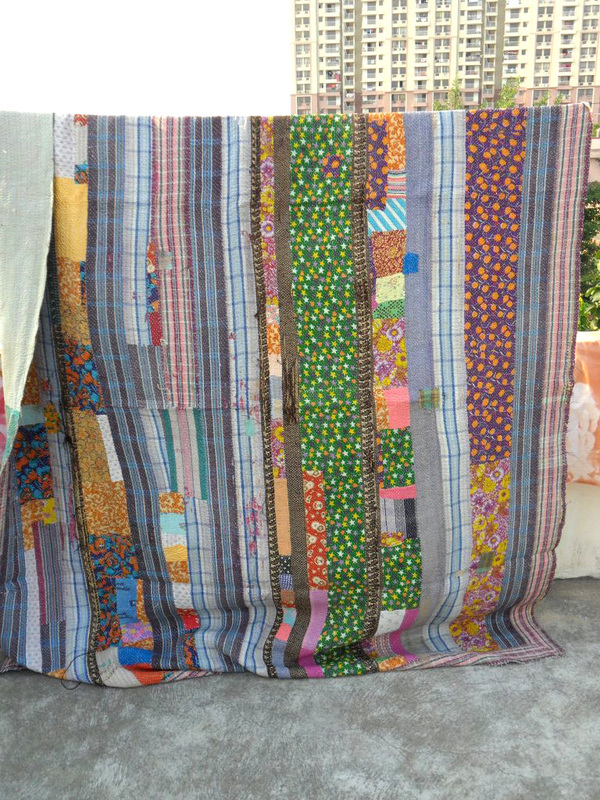 Vintage kantha blanket(quilts) are made from vintage saris pieced together and then stitched all over with running hand stitch each one is unique and has different colours and patterns on either side. Each pcs is unique, different and One of kind. 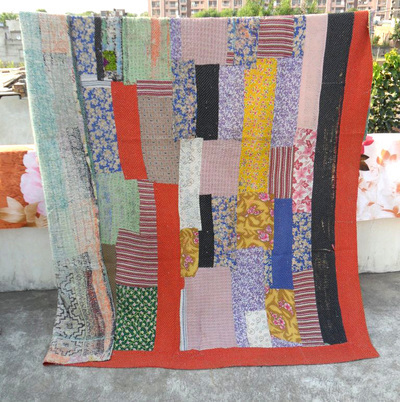 One more advantage is same can be used as a Quilt/ Tapestry / Wall Hanging / Bed Cover / Throw etc. Approx Size is 55X90 Inches.